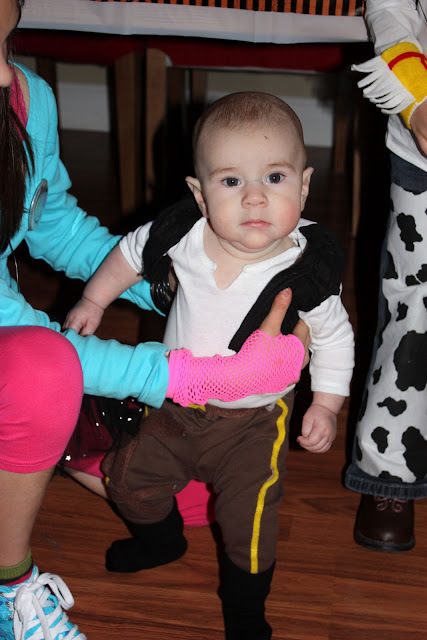 We had a great weekend full of Halloween fun! 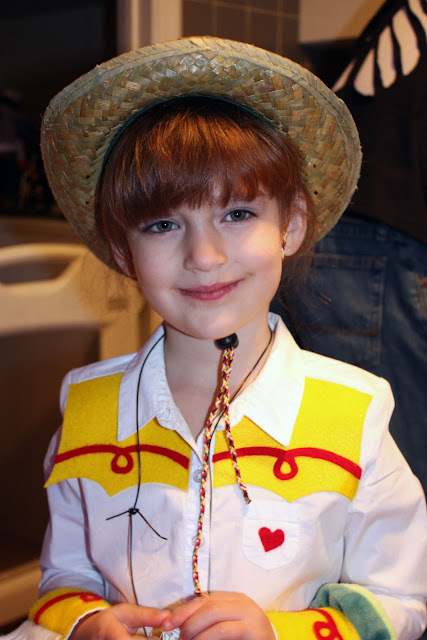 A parade, our annual party and then trick-or-treating. Here are some photos from our party! I had to use a flash due to the black lights and other low lighting. 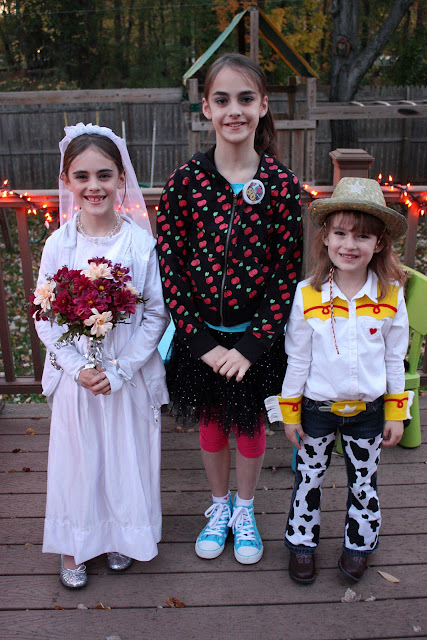 Lana as a lovely bride, Madelyn an 80's girl and Sophia as a cowgirl! 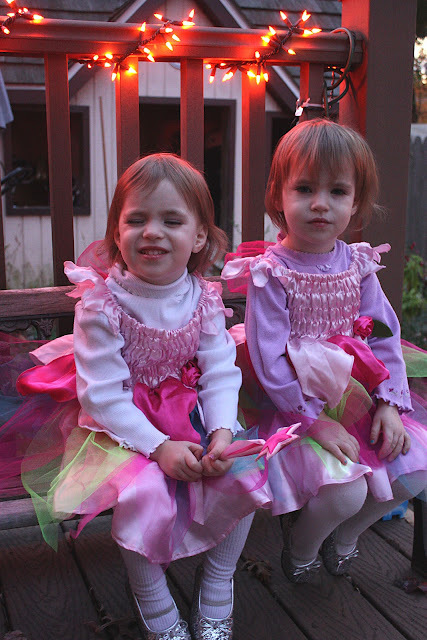 Gracie (left) and Isabella as twin fairies. Every smile of Grace's now involves one or both eyes squinting or closed. 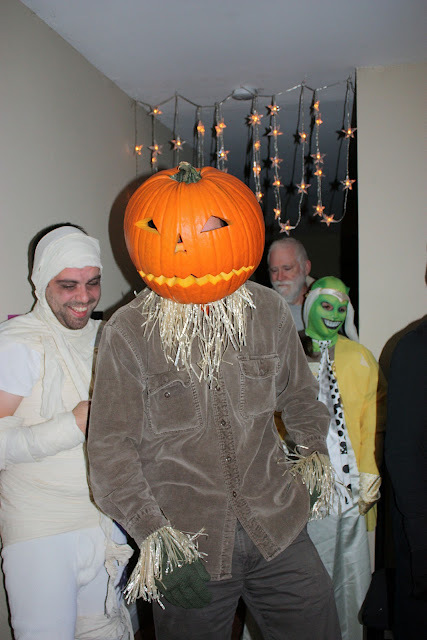 My brother Jason as "October Boy" from the book, Dark Harvest. 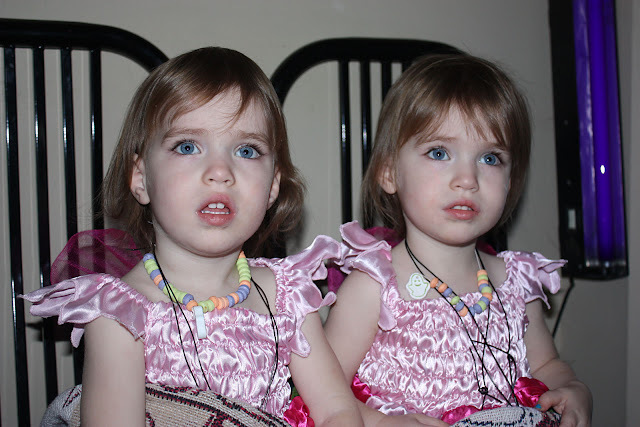 The twins were looking worried because they saw "October Boy" behind me. 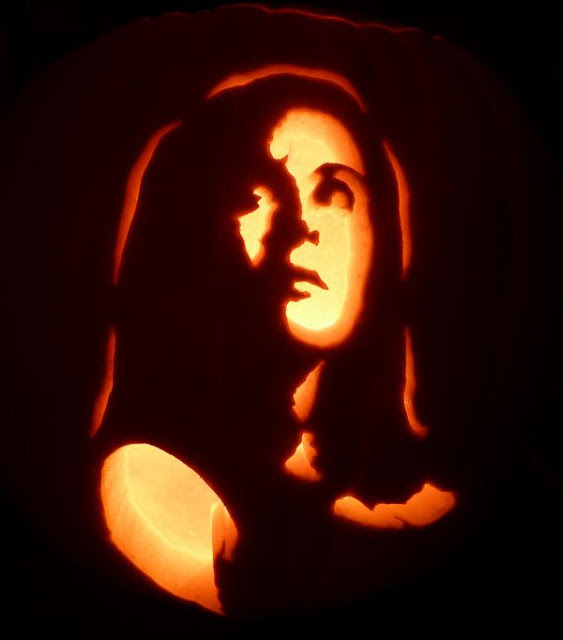 A pumpkin of Katie from Paranormal Activity 2 that my brother, "October Boy" carved. Hope your weekend was as full of Autumn goodness as ours was! 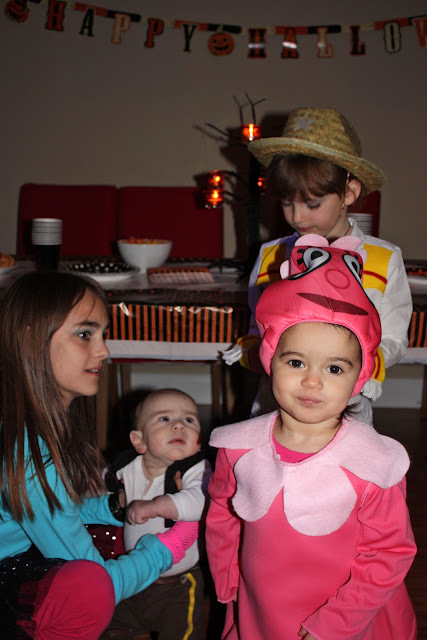 It looks like your family had a really fun Halloween! Get ready its only 54 days until Christmas! 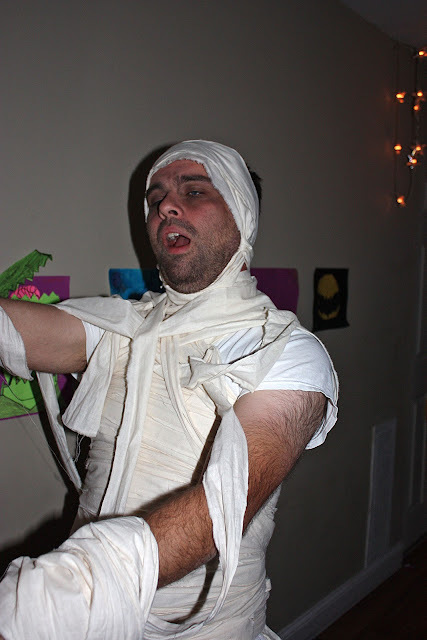 What a fun party - your brother is very talented. I can't even carve a normal looking pumpkin and just look at all that fabulousness. I can't believe you have 5 girls and that they are all so beautiful. The girls look great, good job Mama!